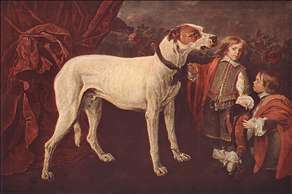 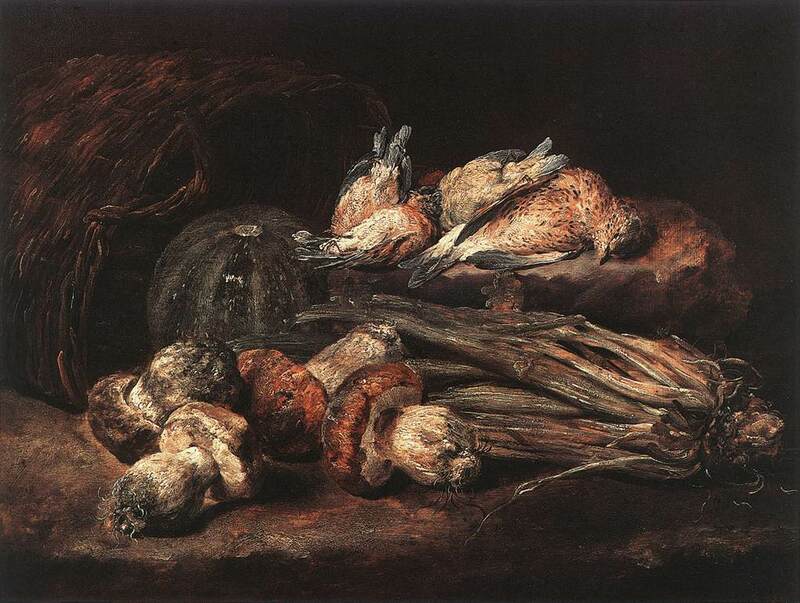 Jan Fyt (also spelt Fijt), Flemish painter and etcher, primarily of still-life and hunting pieces. 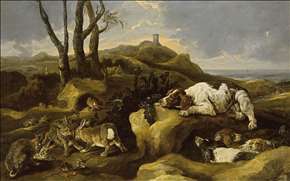 He was mainly active in his native Antwerp, where he was a pupil of Snyders, but in the course of his successful and prolific career he also travelled in France, the Netherlands, and Italy. 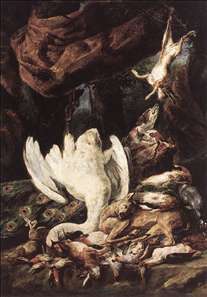 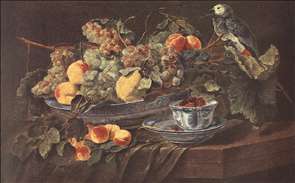 Like Snyders, Fyt painted elaborate style of decorative still-life associated with the circle of Rubens. 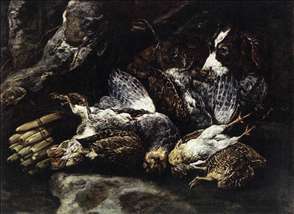 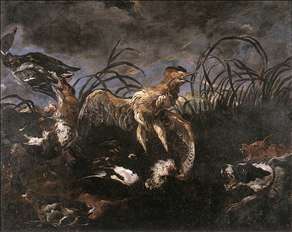 His most characteristic paintings depict trophies of the hunt, dead stags, hares, and birds, all treated with a feeling for texture and details akin to that often seen in Dutch still-life. 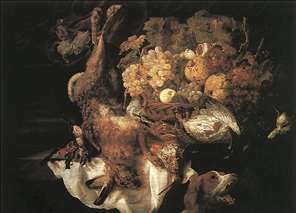 The rare flower paintings by Fyt are exceptionally fine and more attuned, perhaps, to modern taste. 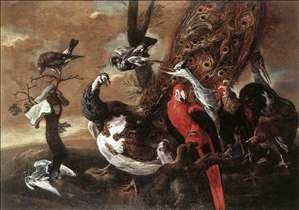 Among his followers, Pieter Boel and David de Coninck (c.1646- c.1699) were his most influential successors. 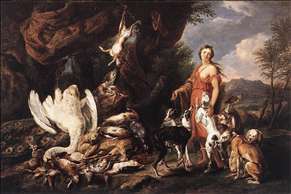 See more details about "Bird Concert"
See more details about "Bittern and Ducks Startled by Dogs"
See more details about "Big Dog, Dwarf and Boy"
See more details about "Diana with Her Hunting Dogs beside Kill"
See more details about "Diana with Her Hunting Dogs beside Kill "
See more details about "Mushrooms"
See more details about "Spaniels Stalking Rabbits in the Dunes"
See more details about "Still-life with Dog"
See more details about "Still-life with Fruits and Parrot"